About "Similar shapes and scale drawings worksheet"
Worksheet on similar shapes, scale drawings and scale models are much useful to the students who would like to practice solving real-world problems using geometric figures. 1. A blueprint is a technical drawing that usually displays architectural plans. 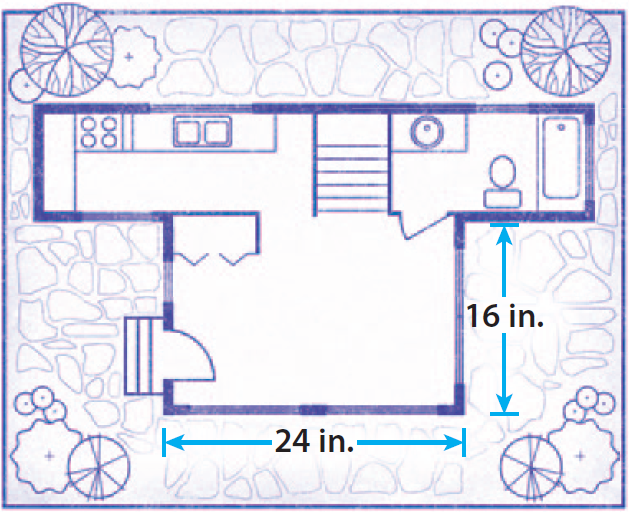 Pete’s blueprint shows a layout of a house. Every 4 inches in the blueprint represents 3 feet of the actual house. One of the walls in the blueprint is 24 inches long. What is the actual length of the wall ? 2. David would like to make paint the rectangular shaped wall. The measures of dimensions of the wall is given in the picture using scale factor. 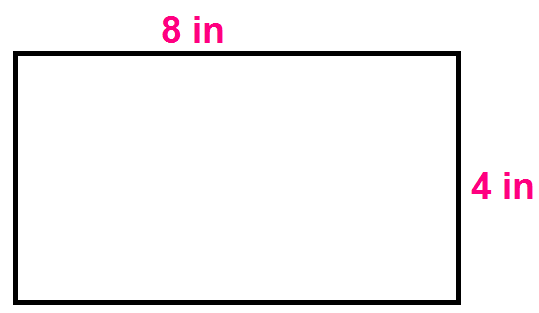 In the picture given below, every 1 inch represents 3 feet of the actual length. If the cost of painting is $2.50 per square feet, find the total cost of painting for the entire wall. 3. A person that is 5ft tall that casts a shadow of 4ft is standing next to a tree that casts a shadow of 10ft. How tall is the tree ? A blueprint is a technical drawing that usually displays architectural plans. Pete’s blueprint shows a layout of a house. Every 4 inches in the blueprint represents 3 feet of the actual house. One of the walls in the blueprint is 24 inches long. What is the actual length of the wall ? Let "x" be the original length of the wall in feet. Let us proportion to solve for "x"
Hence, the original length of the wall is 18 feet. David would like to make paint the rectangular shaped wall. The measures of dimensions of the wall is given in the picture using scale factor. In the picture given below, every 1 inch represents 3 feet of the actual length. If the cost of painting is $2.50 per square feet, find the total cost of painting for the entire wall. Find the length of the wall in feet. Find the width of the wall in feet. Find area of the wall in square feet. Area of the wall = 288 square feet. Find the total cost of painting for the entire wall. 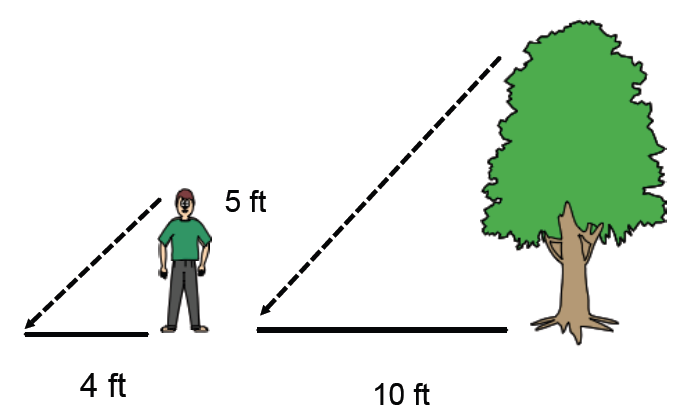 A person that is 5ft tall that casts a shadow of 4ft is standing next to a tree that casts a shadow of 10ft. How tall is the tree ? Let "x" be the height of the tree. In the given picture, two shapes are similar. So, we can have the following proportion using the lengths of the corresponding sides. Hence, the height of the tree is 12.5 feet. After having gone through the stuff given above, we hope that the students would have understood "Similar shapes and scale drawings worksheet".